Sara J. Czaja, Ph.D. is the Director of the Center on Aging and Behavioral Research in the Division of Geriatrics and Palliative Medicine at Weill Cornell Medicine. She is also an Emeritus Professor of Psychiatry and Behavioral Sciences at the University of Miami Miller School of Medicine (UMMSM). Prior to joining the faculty at Weill Cornell, she was the Director of the Center on Aging at the UMMSM. Sara received her Ph.D. in Industrial Engineering, specializing in Human Factors Engineering at the University of Buffalo in 1980. She is the Director of CREATE. Her research interests include: aging and cognition, aging and healthcare access and service delivery, family caregiving, aging and technology, training, and functional assessment. She has received continuous funding from the National Institutes of Health, Administration on Aging, and the National Science Foundation to support her research. She is a fellow of the American Psychological Association (APA), the Human Factors and Ergonomics Society and the Gerontological Society of American. She is also Past President of Division 20 (Adult Development and Aging) of APA. She is also a member of the National Research Council/National Academy of Sciences Board on Human Systems Integration. She served as a member of the Institute of Medicine (IOM) Committee on the Public Health Dimensions of Cognitive Aging and as a member of the IOM Committee on Family Caregiving for Older Adults. 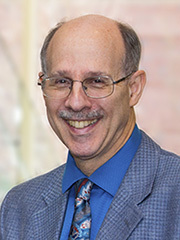 Dr. Czaja is also the recipient of the 2015 M. Powell Lawton Distinguished Contribution Award for Applied Gerontology, of GSA; the 2013 Social Impact Award for the Association of Computing Machinery (ACM); the Jack A. Kraft Award for Innovation from HFES and the APA Interdisciplinary Team, both with CREATE; and the Franklin V. Taylor Award from Division 21 of APA. Walter R. Boot is an associate professor of psychology at Florida State University and director of the university’s Attention and Training Lab. He received his PhD from the University of Illinois at Urbana-Champaign in Visual Cognition and Human Performance in 2007. Walter is one of six principal investigators of the multi-disciplinary Center for Research and Education on Aging and Technology Enhancement (CREATE), a long-standing and award winning National Institute on Aging funded center dedicated to ensuring that the benefits of technology can be realized by older adults. His research interests include how humans perform and learn to master complex tasks (especially tasks with safety-critical consequences), how age influences perceptual and cognitive abilities vital to the performance of these tasks, and how technological interventions can improve the well-being and cognitive functioning of older adults. He has published extensively on the topic of technology-based interventions involving digital games. Walter is a Fellow of the American Psychological Association (APA) and the Gerontological Society of America, and received the Springer Early Career Achievement Award from Division 20 (Adult Development and Aging) of APA in 2014, and the Earl A. Alluisi Early Career Achievement Award from Division 21 (Applied Experimental and Engineering Psychology) of APA in 2017. Neil Charness is William G. Chase Professor of Psychology, Director of the Institute for Successful Longevity and Associate Director of the University Transportation Center (Accessibility and Safety for an Aging Population, ASAP) at Florida State University. He received his BA from McGill University (1969) and MSc and PhD from Carnegie Mellon University (1971, 1974) in Psychology. Prior to coming to Florida State University he was on the faculty at Wilfrid Laurier University and the University of Waterloo in Canada. Neil’s current research focuses on human factors approaches to age and technology use, interventions to promote improved cognition, and aging driver and pedestrian safety. He is a Fellow of the American Psychological Association (APA), the Association for Psychological Science, and the Gerontological Society of America. He received the Jack A. Kraft Innovator award (with CREATE colleagues) from the Human Factors & Ergonomics Society (2013); the Franklin V. Taylor Award for Outstanding Contributions in the field of Applied Experimental and Engineering Psychology from Division 21 of APA (2016); the M. Powell Lawton award for Distinguished Contribution to Applied Gerontology from Division 20 of APA (2016), the APA Prize for Interdisciplinary Team Research with CREATE colleagues (2016), was honored as a Grandmaster of the International Society for Gerontechnology (2018), and received APA’s Committee on Aging award for the Advancement of Psychology and Aging (2018). International Society for Gerontechnology: Awarded Grandmaster status. Wendy A. Rogers, Ph.D., is the Shahid and Ann Carlson Khan Professor of Applied Health Sciences at the University of Illinois Urbana-Champaign. Her primary appointment is in the Department of Kinesiology and Community Health. She also has an appointment in the Educational Psychology Department and is an affiliate faculty member of the Beckman Institute and the Illinois Informatics Institute. She received her B.A. from the University of Massachusetts - Dartmouth, and her M.S. (1989) and Ph.D. (1991) from the Georgia Institute of Technology. She is a Certified Human Factors Professional (BCPE Certificate #1539). Her research interests include design for aging; technology acceptance; human-automation interaction; aging-in-place; human-robot interaction; aging with disabilities; cognitive aging; and skill acquisition and training. She is Director of the Health Technology Graduate and Continuing Education Program; Program Director of CHART (Collaborations in Health, Aging, Research, and Technology; chart.ahs.illinois.edu); and Director of the Human Factors and Aging Laboratory (www.hfaging.org). Her research is funded by the National Institutes of Health (National Institute on Aging) and the Department of Health and Human Services (National Institute on Disability, Independent Living, and Rehabilitation Research). She is a fellow of the American Psychological Association (APA), the Gerontological Society of America (GSA), and the Human Factors and Ergonomics Society (HFES). She has received awards for her mentoring (HFE Woman Mentor of the Year, Fitts Education Award, APA Division 20 Mentor Award), her research (APA Interdisciplinary Team and HFES Kraft Innovator Award, both with CREATE; APA Division 21 Taylor Award), and her outreach activities (HFES Hansen Outreach Award). Joseph Sharit is currently a Research Professor in the Department of Industrial Engineering at the University of Miami, with secondary appointments in the Department of Psychiatry and Behavioral Science and the Department of Anesthesiology at the University of Miami’s Miller School of Medicine. His research interests as part of CREATE focus on aging and performance, particularly in the areas of older adult interaction with e-health and other technological systems, including those that are applicable to work settings. He has also been involved in developing training and design interventions that can enhance older adult task performance and decision making. Dr. Sharit has co-authored two books related to design for older adults and co-organized two specialized conferences in Aging and Work. 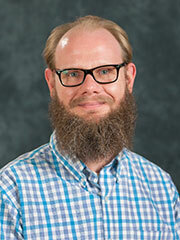 His research also includes system safety and human reliability analysis as it applies to health and other systems. At the University of Miami, his teaching has included human factors and ergonomics engineering, probability and statistics, system safety engineering, and engineering economy.